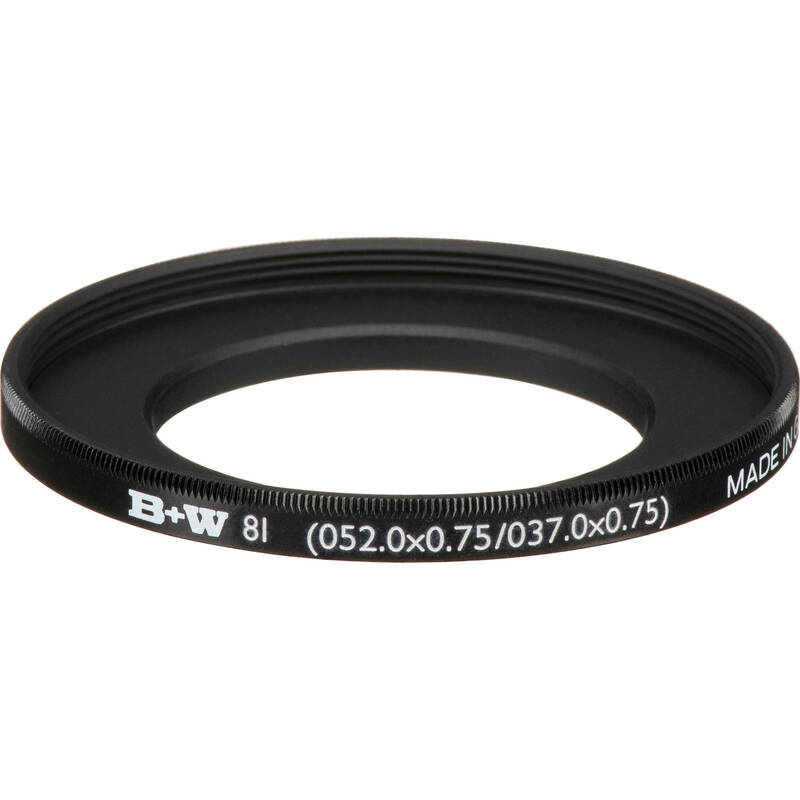 The B+W 37-52mm Step-Up Ring permits the use of 52mm threaded filters on lenses with 37mm filter threads. It features a lightweight, aluminum-alloy construction that has a corrosion-resistant, black anodized finish for durability. This step-up ring has side knurling to provide a more textured grip when mounting or removing it from a lens. Box Dimensions (LxWxH) 5.7 x 4.4 x 1.1"
37-52mm Step-Up Ring is rated 4.7 out of 5 by 3. Rated 4 out of 5 by Gearhead Jr. from B+W 37mm to 52mm Step-Up Ring Nice quality step up ring to work with my HD camcorder. This step ring helped me modify my canon HF10 to use a Hoya 52mm Ultraviolet UV Haze HD Filter and Hama lens hood to clamp on to. The install looks clean and professional. Rated 5 out of 5 by Fritz from B+W RINGS WELL WORTH THE PRICE I have a few different B+W sizes, they all work great. Once you get a cheaper ring stuck to a lens or filter,and they do get stuck, you will wish you had the well made B+W rings. Rated 5 out of 5 by mnmnyuen from Used for various filters, quality fit Used for a variety of filters on lenses with smaller filter threads. Well made, good fit.